Throughout history wars have impacted the world with its many guises. The desire for power, to rule, to dominate were and are the driving forces that impelled war. Even in our own time, battles rage from the most publicised events to ones that don’t make the media headlines. From the days of the cave man, roaming from place to place, looking for food and shelter conflicts ensued. Not much has changed though the names for them vary according to the period and to ‘soften’ the real meaning: combats, warfare, confrontations, crusades, campaigns. 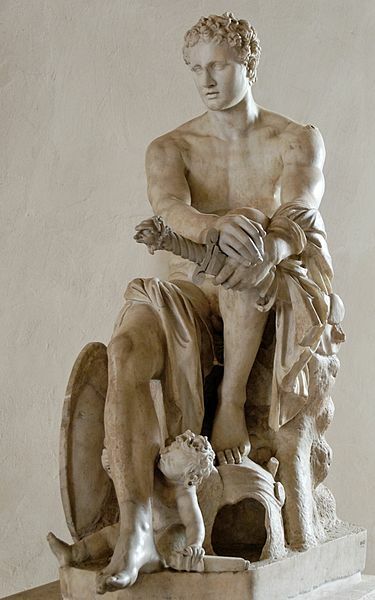 In Ancient Greece, they honoured a god who personified war, yet he also was attributed with civil order and manly courage. 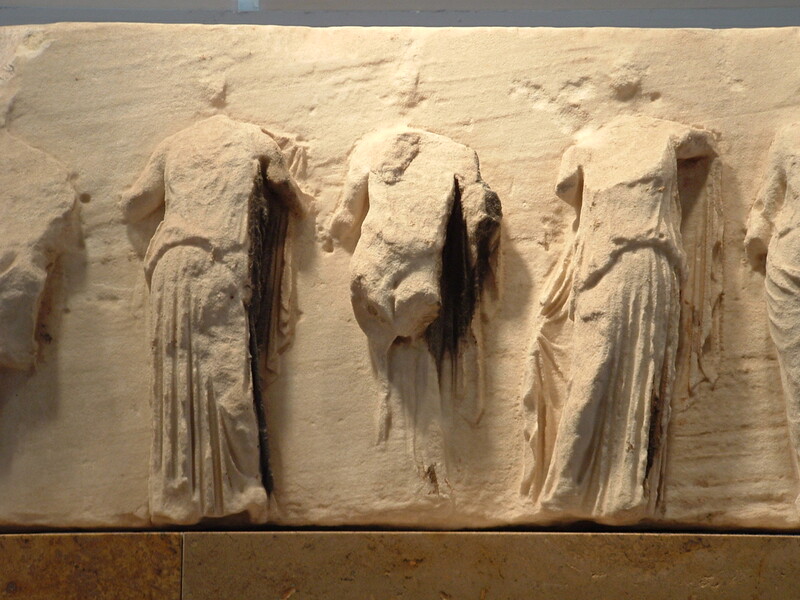 We follow my characters to Messene as they zigzag across the Peloponnese so they may reach Delphi. The city was founded in the 4th Century BC but before then, and according Pausanias, the region of Messenia had small settlements. ‘…I do not believe any city called Messene ever existed; I rest this opinion largely on Homeric epic. So, my characters need to leave Egypt and head north following the Nile River. They find themselves arriving at a unique city, different to the Egyptian metropolis’ they had been to, and the city’s plan follows a formulated grid. The place was Naukratis, and the only Greek colony founded during the 26th Dynasty (circa 664 BC). It was the trading centre for Greeks living and/or visiting Egypt. I was fossicking around in my collection of books looking for sources relating to research on a new idea for a story when I happened across a thin book: Hesiod’s Theogony and Works and Days. It may be thin in size but definitely not in its telling. I bought it some years back now and remembered how much I enjoyed it. As I flicked through the pages an idea began to form, not for a story (have plenty of those) but as an added feature to my blog. The city of Memphis is the next destination for my characters. In the time set for my story, the real Memphis was no longer occupied, however with the magic of fiction it comes to life. 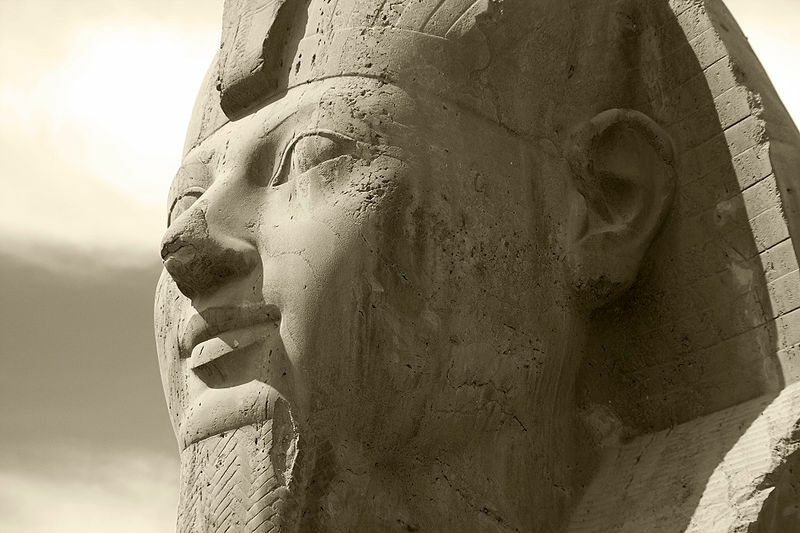 It is from this exotic city the characters sail from and head for Thebes. Now, to get back to the story… my character managed to obtain passage on a merchant ship and convinces the captain to sail to Cyrene (Kyrene in Greek). He learnt this is where his fellow companions had been taken and held prisoner by the king. 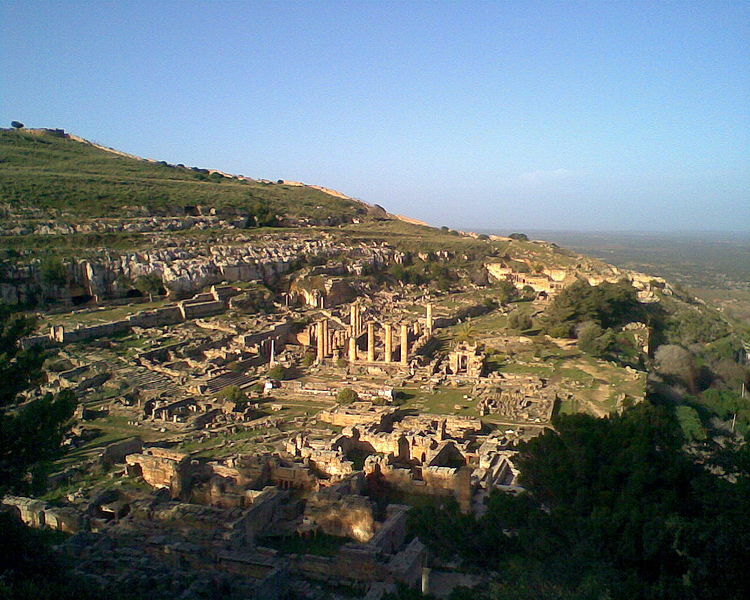 Cyrene (present day Shahhat) was founded in 630 BC by colonists from Thera (Santorini). In Ancient Greece, before making any major decisions, a person or groups would set off the Delphi to consult with the oracle. The oracle was a woman called Pythia, the mouth-piece of the god Apollo, and would give prophetic statements. 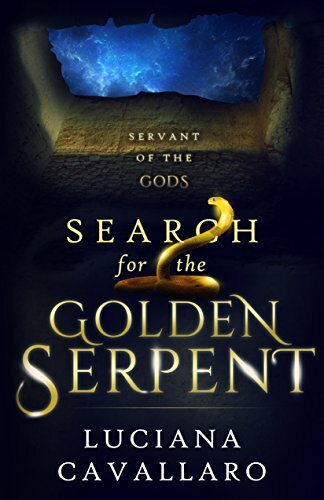 The responses were generally undecipherable but the priests of Apollo would interpret them and relay the answers. Carthage was the site of a powerful trading empire and rivalled Rome in supremacy until the 2nd Century BC. Established by the Phoenicians in the 9th century, and later became the main city after the fall of Tyre in the 6th century. Today, in Tunisia, the ruins of Carthage are protected by UNESCO and only the Roman ruins remain. 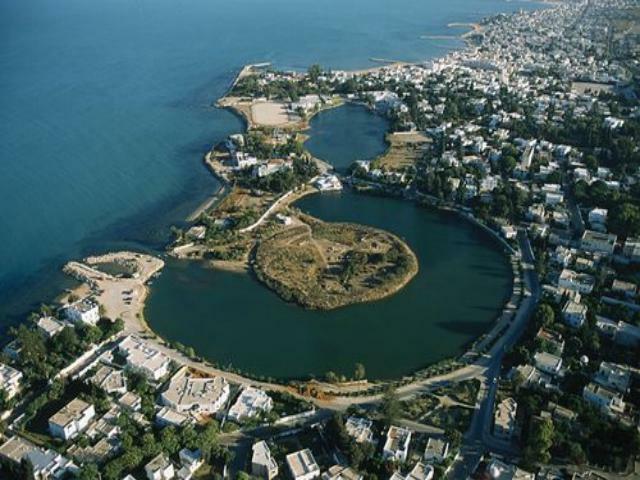 When Rome conquered Carthage, they razed the city and nothing was left, including the incredible man-made port. The description and images are extraordinary. To continue with my character’s journey we head to Hippo Regius, another Phoenician settlement. Today, it is near Annaba, in Algeria. To get an idea of where it is, refer to my previous post Destination: North Africa, and look at the map. There isn’t a lot of information on Hippo Regius but if you do go to Annaba, there are still the ruins of the city and a museum to view the artefacts. Why is it when people think of success they equate it with money? Is it the only yardstick we should be using? And what is success really?